Fidel Castro was born in Cuba in 1928 and became a lawyer, running his own practice until he took up the revolutionary cause. His first armed uprising with 125 insurgents was launched on the Moncada barracks in Santiago de Cuba on 26 July 1953. 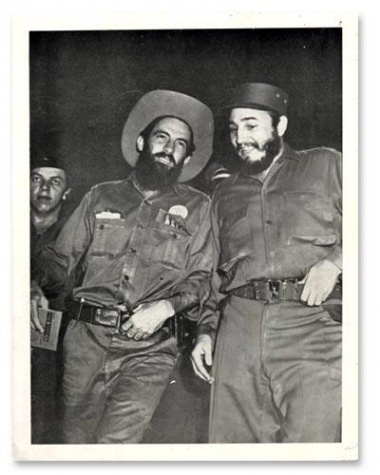 The attack was repelled and several rebels, including Castro, were imprisoned for 15 years. Two years later, the Cuban dictator, Batista, granted an amnesty to political prisoners. Castro chose exile in the USA and later Mexico, where in mid-1953 he met Ernest Guevara, who became one of the most influential members of the Cuban rebel group. Born in Argentina on June 14, 1928, Guevara was a medical student when he began travelling around Latin America by motorbike, bus, truck and, occasionally, as a stowaway on ships. The widespread poverty he saw convinced him that he had a mission in life more important than medicine. Guevara joined Castro's invasion force as a doctor, sailing on the cabin cruiser, Granma, and landing in Cuba on December 2, 1956, with 82 other revolutionaries, including Castro's younger brother, Raul, and Camilo Cienfuegos, the most popular commander of that time due to his directness, great sense of humour, spontaneity and legendary courage. The revolutionary force was spurred on by the miserable living conditions of their fellow Cubans, who were savagely repressed by dictator Batista's corrupt government. The uprising was swiftly crushed by Batista's military but 12 men, including Castro and Guevara, escaped into the mountains from which they organised the '26 July Movement', named after the original 1953 uprising, and began their guerrilla warfare. Once in Cuba Guevara showed himself to be a brilliant field commander and he rose through three years of warfare to lead the guerrilla army's second column. The Cubans nicknamed him 'Che' for the interjection 'che' meaning 'say!'. On March 17,1958, Castro called for a general revolt and his forces, which had grown in popularity and strength, pushed on towards Havana. Repeatedly wounded, Guevara led from the front line and was lionized by his fellow revolutionaries, many of whom followed him for the rest of their lives. On December 27, 1958, Guevara's badly outnumbered guerrillas ambushed a troop train at Santa Clara, and their decisive victory sealed the fate of the Batista regime. On January 1, 1959, Batista fled Cuba and a provisional government was established with the initially reluctant Castro as its first Prime Minister and, later, president, a position he has since retained. Guevara was granted Cuban citizenship in February 1959 and soon assumed a leading role in Cuba's economic reforms as head of the Industry Department of the National Institute of Agrarian Reform (in October 1959), president of the National Bank of Cuba (November 1959), and Minister of Industry (February 1960). On October 29, 1959, Camilo Cienfuegos disappeared while returning in his small plane from a tour of inspection in Camaguey, and was never seen again. In March 1965, Guevara withdrew from public life and secretly returned to Africa, where he helped organise left-wing rebels in the Congo. 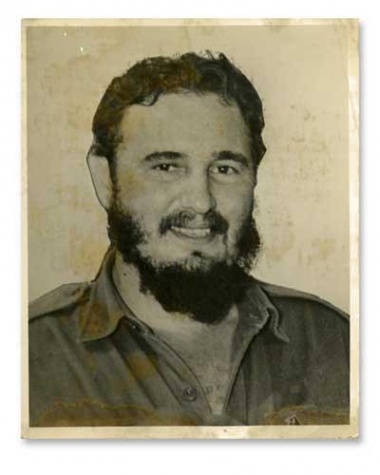 By December 1965, he was back in Cuba making preparations for a guerrilla campaign that would convert the Andes into a new Sierra Maestra. In November 1966, he arrived in Bolivia. On October 9, 1967, Ernesto Che' Guevara was 'captured by the Bolivian army, and executed. "Revolutions rarely, if ever, emerge fully ripe," said Guevara in 1961," and not all their details are scientifically foreseen. They are products of passion, of improvisation by human beings in their struggle for social change, and are never perfect. Our revolution was no exception." On March 4, 1960, the French freighter, La Coubre, exploded in Havana harbour, allegedly due to CIA sabotage, and almost 100 people were killed. The next day, Fidel Castro and 'Che' Guevara linked arms at the head of a funeral cortège as it wound along the Malecon. Later, Fidel spoke to the angry and upset crowd from a scaffolded platform erected at the cemetery, flanked by other revolutionary leaders. It was at that moment 32-year-old Alexander Korda, a former Cuban fashion photographer, took a single photograph of 'Che' Guevara, and unwittingly launched an international icon. After Che's death, Korda's photograph rapidly became a symbol for worldwide student revolt. The original negative in Korda's apartment in landscape format - was cropped by an Italian poster publisher to focus on the Argentinian martyr rather than the Cuban compatriots on either side of him. It is still one of the most powerful and famous images of the 20th century. The late Raul Corral Varcia (also known as Corrales) was one of Cuba's finest photographers and often took pictures of 'Che' Guevara, "...usually with a Havana in his mouth," he said. "Che would smoke any cigar, as long as it was Cuban."